How is the current market in Fox River Grove, IL? We currently have 49 Single Family homes on the market in Fox River Grove that are active and available. They have been on the market for an average of 199 days. The average list price is $321,339. During the past 3 months, 9 Single Family homes have successfully closed with the help of their Realtors. This only represents 64% of the market that have had success. They took an average of 177 days on the market to be SOLD. The average list price of the SOLD Single Family homes is $329,678 and the average SOLD price is $305,645. So, on the average Single Family homes in Fox River Grove have been getting an average of 93% of their list prices, with the help of their Realtors. We currently have 7 Attached homes on the market in Fox River Grove that are active and available. They have been on the market for an average of 213 days. The average list price is $129,729. During the past 3 months, 5 Attached homes have successfully closed with the help of their Realtors in Fox River Grove. They took an average of 177 days on the market in Fox River Grove to be SOLD. The average list price of the SOLD Attached homes in Fox River Grove is $173,740 and the average SOLD price is $134,650. So, on the average, Attached homes in Fox River Grove have been getting an average of 94% of their list prices, with the help of their Realtors, which is GREAT news! Information deemed accurate and reliable but not guaranteed. Source MRED MLS. Overall, even though we are seeing some positive changes in our market, we are still experiencing a Buyer's Market in Fox River Grove. We are still experiencing a Buyer's Market in Fox River Grove and the surrounding areas of Northern Illinois. It is a GREAT TIME TO BUY REAL ESTATE in McHenry County, Cook County and Lake Counties in Northern Illinois. There are fabulous homes for sale at great prices in Fox River Grove, IL *especially for first time buyers, investors and move up buyers. * Rates are great, too! If I can be of assistance to you, please do not hesitate to call or email me. It will be my pleasure! By the way, if you know of someone that could benefit from my high level of service, please call or email me with their name and daytime phone number and I will make sure to follow up and take great care of them. My business keeps growing from your referrals. To Search Homes For Sale, Please Contact Me Directly Or Feel Free To Search On My Website! It is an EXCELLENT TIME TO BUY AND SELL NOW, especially for second home buyers, investors, move up buyers and even first time buyers! If I can be of assistance to you, please do not hesitate to call or email me. It will be my pleasure! take great care of them. I appreciate YOU and your referrals! I can be reached at my direct number at the office: 847.516.6760. I look forward to hearing from you! Information deemed accurate and reliable but not guaranteed. Source MRED MLS.Disclaimer: Information herein may come from various sources, some of which may not be reliable and may change without any notice. 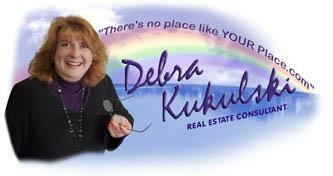 Debra Kukulski does not guarantee or is any way responsible for the accuracy of the information in this blog and information provided is without warranties of any kind, either express or implied. Information on this blog represents the opinions and ideas of the author; comments by others may not express the views of the author. All photos and content may not be duplicated without express written consent of author. Copyright © 2016 By Debra Kukulski, all rights reserved.